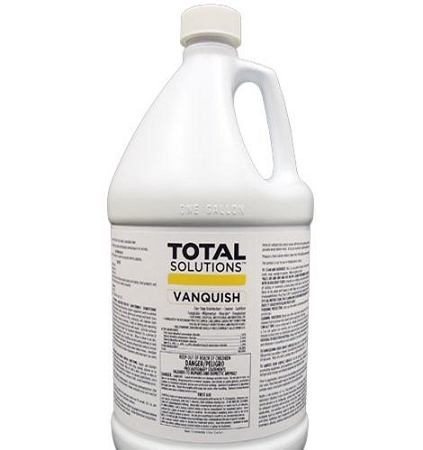 Vanquish is a 6 in 1 complete disinfectant. One-step disinfectant and virucide. Super Concentrate! 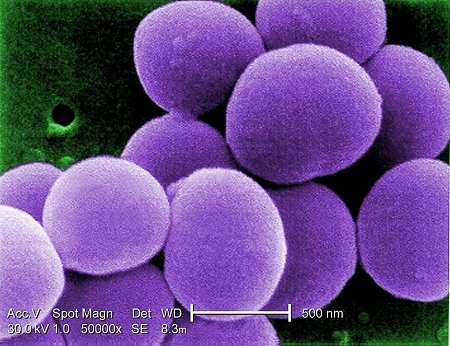 It's a Cleaner, Sanitizer, Fungicide, Mildewstat, Virucide, Mold Remover & Deodorizer all in one! Vanquish is a concentrated liquid is a versatile cleaner and broad spectrum disinfectatnt that has multiple uses on a wide variety of surfaces. It will clean, disinfect and deodorize virtually any hard, non porous surface. It can also be used in meat and poultry plants and other food processing facilities. It cleans without abrasives, and deodorizes by killing the micro-organisms that cause offensive odors. 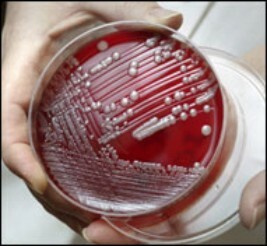 It is also authorized by the USDA for use in meat and poultry plants and other food-processing facilities. 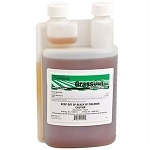 Mold Remover or Mold Cleaner: Dilute 2 ounces in 4 gallons of water. Highly Concentrated up to 256 to 1 dilution with water. Authorizations EPA Registered , USDA Authorized. A broad spectrum disinfectant, sanitizer, virucide and mildewstat formulated for veterinary practice/animal care and animal laboratory disinfection, 5.5% cat disinfectant. Kills Hepatitis B&C, HIV, Athletes Foot Fungus, Tuberculosis, E-Coli, Staph, Salmonella, Pseudomoas, and resistant strains of bacteria including MRSA, VISA, & VRE. Active in hard water up to 400-ppm hardness. Leaves behind a clean fresh scent. Avian Bird Flu, Acinetobacter baumannii, Enterobacter aerogenes Vibrio cholerae,Hepatitis b, Respiratory syncytial virus, Canine distemper, Campylobacter jejuni, Trichlophyton interdigitale, Herpes simplex types 1 &2, Vaccina, Newcastle's disease, Klebsiella pneumonia, Aspergillus niger, HIV type 1, Avian infectious bronchitis virus, Pseudorabies virus, E coli, Adenovirous type 5 Influenzea /Brazil, Avian influenza virus and many others. Hospitals, Daycares, Restrooms, Ultrasonic baths, Food-processing plants, Shoe bath sanitizer , Air conditioners , Garbage storage areas, Buses, trains and taxis, cars, children's safety seats, Dairies, poultry and hog farms, exercise facilities. Refrigeration equipment, Ultrasound transducers, Emergency vehicles. Vets, zoos and pet shops, Medical and dental clinics, Heat pumps and anywhere bacteria, viruses, mold and fungus proliferate. Use Vanquish Disinfectant as a medical disinfectant, hospital disinfectant, quaternary disinfectant,quaternary ammonium disinfectant, disinfectant concentrate,hospital grade disinfectant,commercial disinfectant,epa approved disinfectant, mold remover, mold cleaner, and liquid disinfectant. MSDS Available call 800-788-9195 or purchase Vanquish at top of page. This stuff works so much better than the stuff at my grocery store. It's like having 10 cleaners in one!